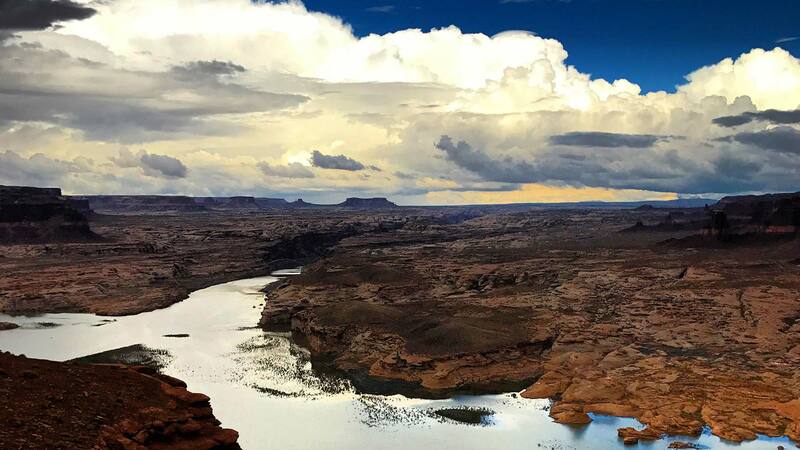 / Modified feb 15, 2019 3:22 p.m.
A view of the northern end of Lake Powell, near Hite, Utah. PHOENIX — A top Arizona Democrat is accusing the Republican House speaker of risking the collapse of a drought plan for the Colorado River by pushing legislation that has angered the Gila River Indian Community, a key player in the negotiations. House Democratic leader Charlene Fernandez said Friday that Speaker Rusty Bowers is on the verge of tanking the plan and destroying the agricultural economy of central Arizona. Gila River Gov. Stephen Roe Lewis says a bill that Bowers introduced threatens water rights the tribe gained through a landmark settlement in 2004 after a decades-long battle. Lewis says the tribe can't sign on to the drought plan unless it gets a "reliable indication" the bill won't move forward. Arizona faces a March 4 deadline to get agreements from all parties, including the Gila River community. Bill That Nearly Scuttled Drought Plan Shelved Bipartisan Drought Plan Legislation Coming to Congress 'Very Soon' As the Colorado River Basin Dries, Can an Accidental Oasis Survive?